Yazzoom leverages its expertise in advanced process control and data processing to deliver immediate value to its customers through innovative software and services. With installations across process and manufacturing industries, Yazzoom delivers solutions that enable continuous improvement of production processes. 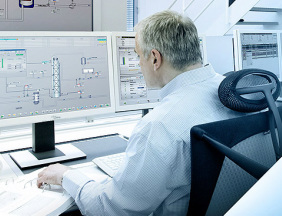 Our solutions comprise both off-the-shelf software and training courses for process control monitoring, analysis and improvement, as well as tailor made data analytics software and services.